When there was room for an extra vehicle in the mini class market, Volkswagen decided to unpack it with the VW Lupo. At least that is the official version of the story. In practice, car enthusiasts and experts know only too well that the introduction of the new car came in response to the appearance of the Seat Arosa. 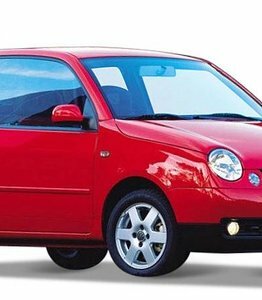 The VW Lupo went into production in 1998, while the last car of this type rolled off the tyre in July 2005. The Volkswagen Lupo was immediately very popular in the segment in which it was released. This means that to this day we still see many of these cars appearing on the street scene. Do you also have a VW Lupo, but are you dealing with a damaged windscreen as a result of rubble, an accident or vandalism? In that case, our solution for windscreen replacement of your VW Lupo is highly recommended! Of course, you will not want to do a windscreen replacement for your VW Lupo if this is not absolutely necessary. In certain situations, however, you have no other choice. For example, replacing a windscreen with an asterisk is absolutely not necessary, but a completely different story becomes one when the asterisk has become a big crack or the windscreen has been completely shattered. In that case, you will no longer have an alternative. Moreover, this must also be done as quickly as possible and preferably on location. This is the only way to get back on the road with your VW Lupo as quickly as possible. A cracked or shattered VW Lupo windscreen can occur in different ways. It can, for example, be the result of rubble or an accident, but there can also be malicious intent in the game. In the latter case, the broken automotive glass will have been caused by vandalism. In all cases, the car window is usually so badly damaged that it is not responsible to continue driving. Fortunately, our certified partners can replace the windscreen of your VW Lupo at your location. In between maybe an interesting piece of information about the Volkswagen Lupo. What many people do not know is that it is one of the most efficient cars in terms of fuel consumption the world has ever seen. The 3L 1.2TDI version of this type of Volkswagen could therefore easily drive 33 kilometres with only one litre of diesel. This was made possible by various changes to the bodywork. In this way the air resistance was lowered. In addition, several parts of the car were replaced by lighter materials such as aluminium. It goes without saying that this fact also contributed to the popularity of this VW Lupo. How much does a new VW Lupo windscreen cost? Both original and after market windscreens are produced in the same factory. Both types of car windows are part of the same production line. Our after market car windows are always produced according to the strictest European quality and safety standards. Choosing an after market model is certainly the cheapest solution in case of windscreen replacement. In addition, there is absolutely no need to take any form of loss of quality into account in this area. This way you can kill two birds with one stone. Our experts have excellent knowledge and expertise. Replacing your damaged car window can be done in the short term. The windscreen replacement of the VW Lupo can be done at one of the service points, but also at your location. This is very interesting in case of a shattered windscreen or a busy agenda. If you are insured with third-party, fire and theft or a comprehensive insurance policy, you can count on a discount on the deductible of up to 150 euros. Would you like to reduce the cost of a windscreen replacement for the VW Lupo or are you looking for the most attractive price for a new VW Lupo windscreen? In that case, it should in any case be clear that you are at the right address with us for the delivery of a new windscreen with or without assembly!